and make sure you are on our mailing list for the latest news. 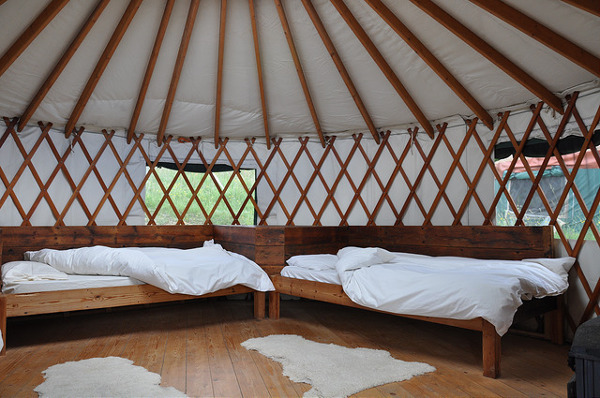 This is glamping rather than camping, in a beautiful yurt village – with showers and toilets and indoor facilities. During this week, we will take the view that parenting is an honour, a privilege and at the same time a challenge and an invitation to grow. It is brave and courageous work which speaks directly to Embercombe’s mission to kindle the fire for the children of the future. Parenting is direct action for change. The proverb works both ways: “It takes a village to raise a child.” And “It takes a child to raise a village”. Children who are raised with consciousness and love, who are allowed their feelings and thoughts, who are given helpful loving limits and guidance in how to socialise, are a resource to our communities. They trust their intuition and their hearts as well as their minds. They expect to love and be loved. They intuitively know when something is out of integrity. These children will be ready to step up as our next leaders to steer our world back on track where it has become imbalanced. When we are able to witness a child’s natural confidence of being, and listen to the unlimited thinking of their mind, when we can open ourselves to share their moments of delight in simple things, and to hear their emotional pain when hearts close, we adults can be touched, restored and brought back into alignment with our essential trusting and creative nature. Children are very accurate mirrors. Even those of us who are not in any kind of parenting crisis can benefit from support to understand how to navigate family life – how to find the balance between everyone’s needs, how to mature as adults, so that we can parent our children from a wise responsible adult place. When we are reactive towards our children, there is always something for us to face in ourselves. 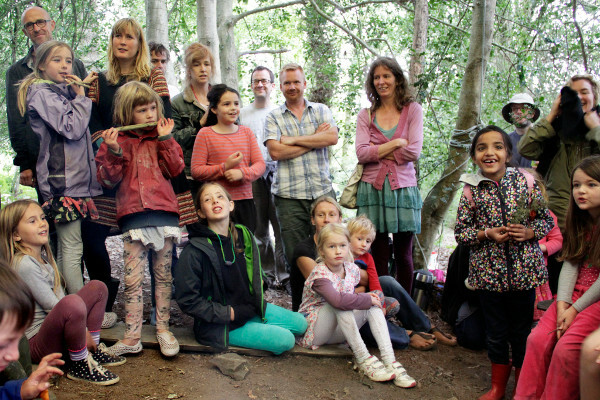 Grow the Grown Ups Wild gives parents practical and emotional support to do this work. We take away the daily tasks of shopping, cooking, driving, entertaining, earning, emailing for a week so that you can give yourself, each other and your children some quality attention in a simple, natural, supported village environment. Every morning we share simple and fun activities in small groups, so that families can learn and play together. 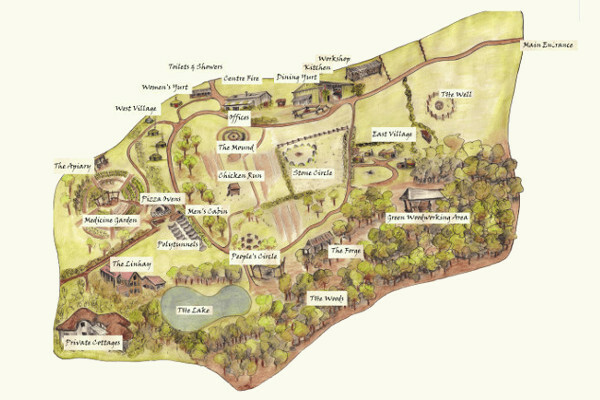 These might include bushcraft, crafts and music, or time spent out in the woods and gardens. In the afternoons, the adults come together to discuss, listen, learn, share and re-focus on what really matters to you as a parent. The invitation for these sessions is to come to a space where you can focus attention on yourself, relax and review your core values as a parent, identify the trigger points in your parenting and be introduced to, or reminded of, the Parenting by Connection framework and practices that help us to understand and support our children’s and our own emotions. Parallel to these adult group sessions in the afternoon are well-staffed play and crèche groups, offering safe and engaging activities for all the children. The crèche is in the room adjoining the adult group space, so that parents of the youngest children can move freely between the crèche and the group work, as their child needs, supporting secure attachment. The Play team base themselves in the woods and the ethos is to allow the children to experience being in nature without an educational or goal-driven agenda, so these sessions are deliberately child-led and low stimulus. You will do what works best for you – occasionally parents stay with their child during the afternoon. Simple ceremony is also an important ingredient of the week. We light a candle as a symbol of the Children’s Fire each time we gather, we have morning meeting circles, optional gratitude circles, an opening and closing ceremony. 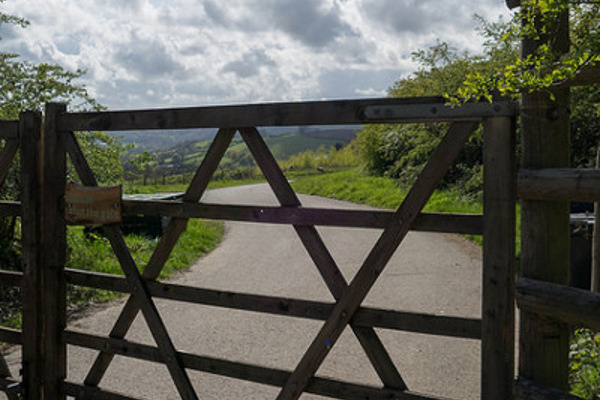 On Wednesday afternoon there is no play session or adult session – families are encouraged to spend time on the land. We have singing and informal games and families get involved with pizza making. There are optional evening gatherings, usually story-telling, with an open mic night on Thursday, which all finish for a 9pm whole camp bedtime. This is a fully catered programme – we don’t ask parents to get involved with domestics. Each family is offered a 20 minute individual check-in with our lead facilitator. 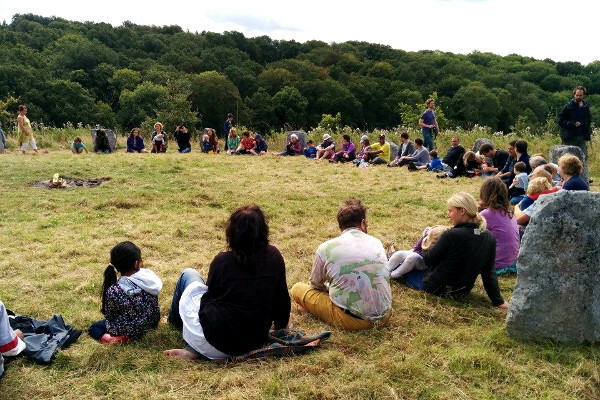 I’ve known about Embercombe since Spring 2008 when I was introduced by friends whose children were part of a Steiner school residential. I loved what I found, how Embercombe’s core mission is to grow people, and to strengthen connection to where and how we live, and I felt inspired to bring another strand of work in addition to the already brilliant education work: to specifically and directly support parents with the challenges of parenting, and thereby acknowledge the place of conscious parenting in cutting edge activism. 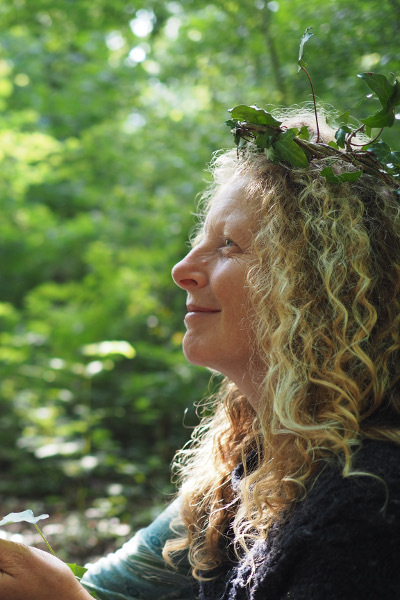 With the support of others, I devised our Grow the Grown Ups programme, a residential family week specifically developed to support parents of young children into authentic realistic conscious parenting, valuing our connection to ourselves, to each other and to our environment. I love the land and want to be part of it, to know it in greater depth each day – to become ‘reindiginised’ (a new word meaning for people to become reconnected to ‘their’ land). For the children it’s all about connection. To grow to be healthy adults who can make a difference in our world, they need connection to their adults, themselves and the land. I am committed to a way of being with children that allows them to find themselves. I am interested in bringing the Hand In Hand approach in to our daily lives (with or without it’s title), it provides a solid framework for adults and children to grow. 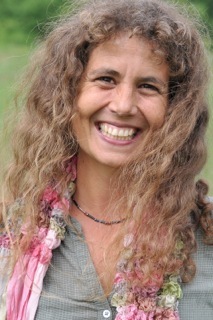 I feel that my role is part of the development of Embercombe’s work – enabling parents to deepen in their vital work as leaders for their children, for the children to be given the foundation to deepen through their connection to themselves and for the animals to assist in that by being part of our daily lives. I have always believed in the crucial importance of our early years. This time makes a difference to our relationships and learning for the rest of our lives. At the centre is our parenting. I have become increasingly passionate about parents and the amazing work that we all do. Parenting is not valued as it should be in our society and there is never enough support. Our Grow the Grown Ups programme provides an amazing space to enjoy support, play and love in a beautiful and well loved environment. We aim for all our courses to be as accessible as possible and if necessary it is possible to arrange for payment by installments. There are also a limited number of bursary places available for this course at £935 for a family yurt or £460 for a single parent shared yurt on application. I wanted to express my deep gratitude to Joanna, Tim, the host families, Play Team and all the amazing staff at Embercombe for the incredible space that you create and hold together. It’s immense and I love that as a family we can experience such richness and depth of being in such a safe and cherished space. We will be back! Thank you so much beautiful people. I blogged about my experience of the camp but in a sentence: This week has bolstered my heart with the embodiment of receiving such deep, loving, non judgemental support for both children and parents and has provided and inspirational vision of the possibility of creating a world where parents receive the support they need. Grow the Grown Ups has – for two years now – been a really special week where we can reset our relationships with our young twins. It has given us a chance to spend very different time with them: looking at them and loving them deeply. They love it, and it’s very precious for us as a family. It’s a great privilege to be at Embercombe for the week. It’s a beautiful place where you feel supported and everyone on site helps this to be a really special time. There’s no other time like it in our year, and it helps us be better parents, and more courageous people out there in the world. I loved EVERYTHING. And my daughter did too, so it’s difficult to be specific. It really struck a good balance between there being enough laid on for us to do together to really connect whilst also being a total eye-opener in terms of the listening partnerships and other workshops with the grown-ups. I’ve never done work like that before, and it was incredible. Yurt was sweet and cosy — we didn’t expect burners or a proper wooden floor! Food was great — there was so much of it too! We both came away from the camp feeling utterly wonderful — and I feel changed for life, actually. It was a beautiful, beautiful thing! Every family has the potential to contribute to the next generation of leaders. When I read about it I couldn’t quite believe it was being held in the UK. I thought it must be in the States as it sounded too good to be true. 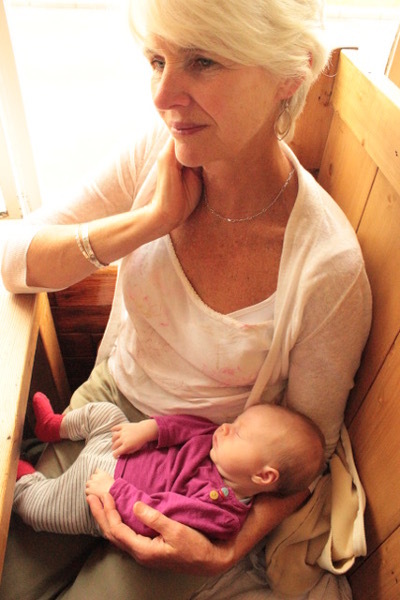 There were so many aspects that drew both my partner and me to it: the rich nature of the work being offered, having time without the kids to be able to really focus on our parenting journey, staying in a yurt, being cooked for all week, the kids being able to romp and roam on the land…. Fundamentally for me it was having an opportunity to connect and work with others drawn to this parenting approach, as prior to this I’d felt I was treading a lone road. My expectations were exceeded by the wealth of engagement from the other parents attending and it felt a great privilege to work together with them. Embercombe feels a very grounded place. I have visited many communities since the 80s and it stands out as sane, healthy, fun and inspiring. I had the impression it was also open to new ideas and endlessly growing, rather than getting too stuck in one groove. Special time was fabulous, and the focus that it felt was on the children during that time. Each evening, we sat at the campfire. Just before bed every night, Tim came round as part of checking the whole camp. I felt a real sense of being watched over and cared for, from this. For me the most special bit of the camp was the general ease I felt about myself, and my parenting, whilst there in Joanna’s and everyone’s company. I felt able to follow my and my son’s flow with no sense that I was disappointing or challenging anyone. I felt trusted to ‘find my way’ and I thank you in particular for this. Alongside this ‘trusting’ there was also a sense and experience of people caring about us and being there for us in whatever way we needed… practically and emotionally… that’s quite something. I found my connections and LPs quite magical! We loved all of it! The children loved their time in the woods in the afternoon, we loved the options of the rhythms of Embercombe, the games, the stories, the songs, etc! Food was delicious – loved the freshness of it all. I wanted to write to thank you in a very heart felt way for what felt like a long over due time as a family with other families. 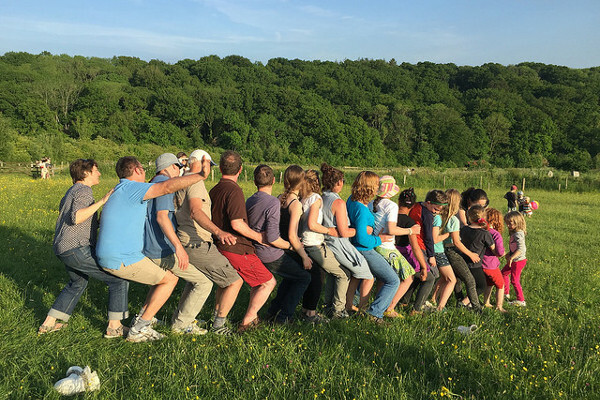 I actually find it quite hard to express the importance of our week together… Embercombe and you taught us about leadership, listening and connecting. What an extraordinary programme!!! I was bowled over by the care and attention that went into every detail of the week. The quality of the support available to me as a parent from the staff team and the experienced GTGU parents made this a week to remember. I have never known our son to be happier or more relaxed and the play workers (Henry in particular!) gave him the security and confidence he needed to join in the programme and make new friends. I have 25 years experience as a parent of young children yet found there was still so much to learn:) For me, the most significant thing was realising the simple fact that being a parent is the route to growing the hurt child within us all. It felt like a relief to have a chunk of time with your loving support plus that of my listening partners , to ask simple questions of myself and then turn them around into simple, clear realisations that are so simple and obvious NOW!